There is lots and lots of things happening behind the scenes, which will come to the public soon, I even hope it'll be very soon. I'd like to thank all of you who visit my blog and thanks to whom I keep breathing in this virtual world. For this moment I need to show you just a little bit of what I did in the past, still keeping the best for the future. It's a part of a small box of things made in grey melange fabric. Small ot only because it's quite difficult for the begginer to sew this kind of fabric, but also because I find this colour pretty sad, especially when worn by babies and toddlers. 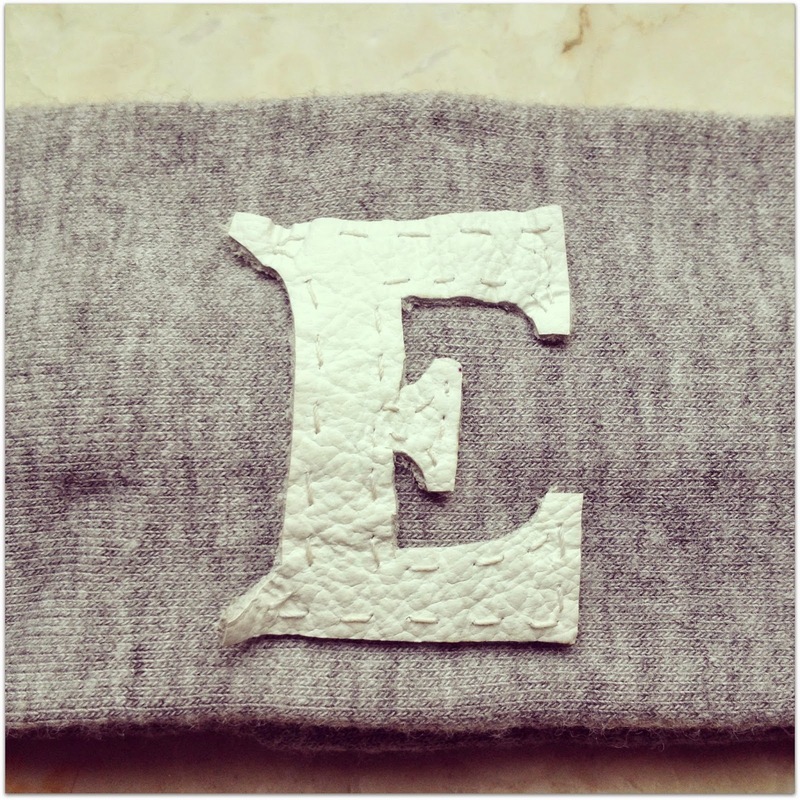 What I made during my journey with grey melange was the Cotton Baby Blanket, which I showed you yet in January (here), and the headband - a small masterpiece gifted to my younger sister, Eva. She was on the Student's exchange in Dresden at that time when I made it for her, as she was fond in running. She was really a headstrong runner, what I admired hugely. I wanted to give her something for those six months in Germany that would keep her remembering the home and family. 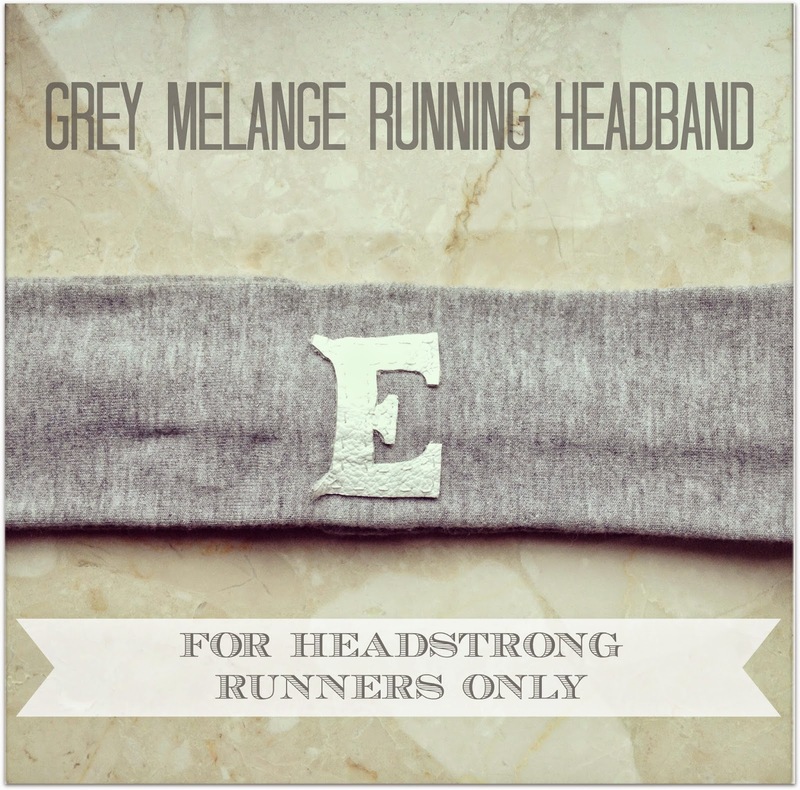 So here it is: a small, grey melange headband. It took me just a few moments to make it, which was quite easy. Do you like the gift I made for my little sister? 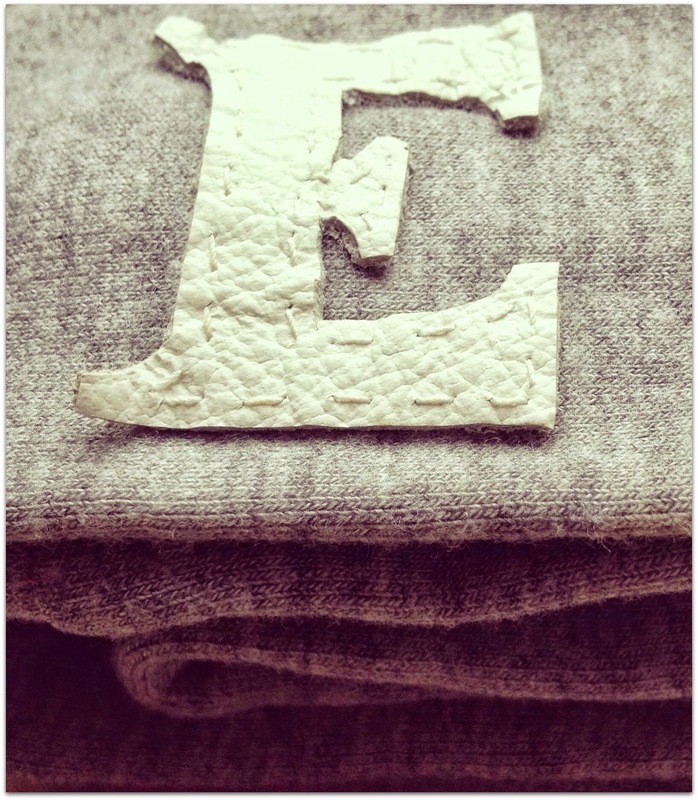 Well, I do - this E monogram makes it adoreable if you ask me. Soon I'll show you the rest of the grey melange box, which would be some pieces of baby clothing. So stay tunned! PS. I know, I know. I'm getting down with the numbers of posts for a pretty while now, but it all has it's explanation. I'm reading, watching, learning from the greatest bloggers on how to make this place wonderful and cozy for all of you. I make plans, mark goals, I watch, I ask, I comment, I gather all the best for you. OK, not for you only, but especially for me and myself and my starvation for creativity. So really, no jokes - stay tunned! With all rsponsibility I can say - the most perfect headband for running i've ever had :) 100% comfortable and absolutely unique - no one has the same!